Auburn Bowl is a great place to have fun times with family and friends that won’t break your family’s budget. 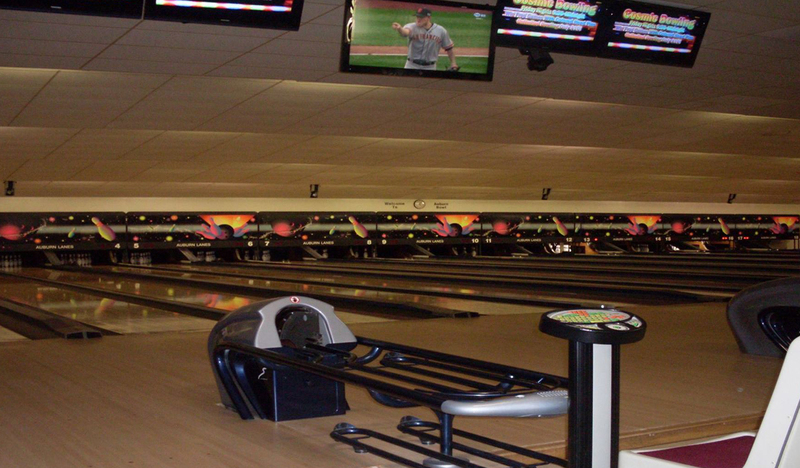 Our 18 high quality lanes are equipped with large flat screen displays, and automatic scoring. We offer wee little shoes and automatic bumpers, to keep bowling balls out of the gutters and smiles on the faces of the small children. If you want to keep up with the big game, we have high definition flat screen televisions. FREE Wi-Fi, and crystal clear TV service is provided by Auburn Essential Services. We even offer friendly lane-side food service.Join a league, have a party, or just bowl for fun. At Auburn Bowl we make it FUN for everyONE!